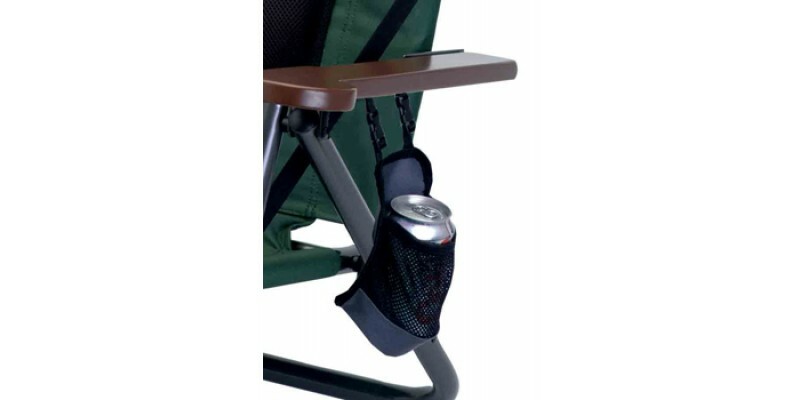 Patented BackComfort™ Technology adjusts the Wilderness Recliner™ backrest to unlimited reclining positions while a lumbar cushion provides maximum comfort. The shoulder straps with patented Auto-Fold™ Technology makes it easy to open, close and carry. 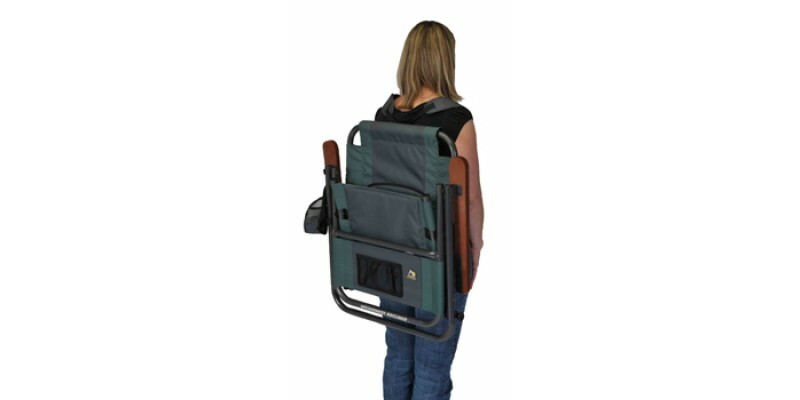 The backpack carry straps allow for hands-free portability. 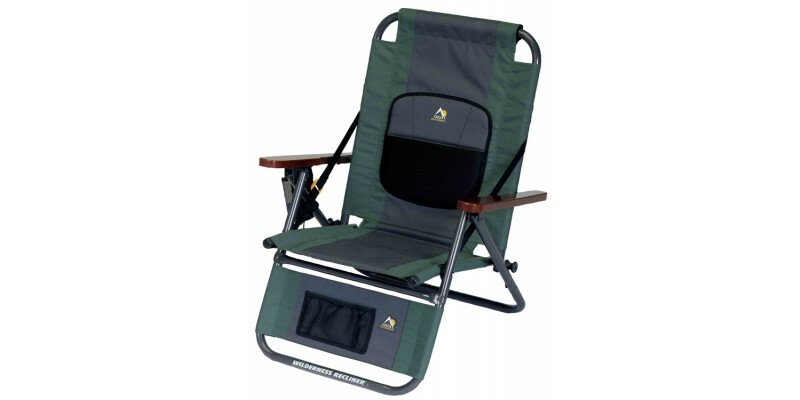 Constructed of a sturdy, powder-coated aluminum frame with polyester fabric canvas. 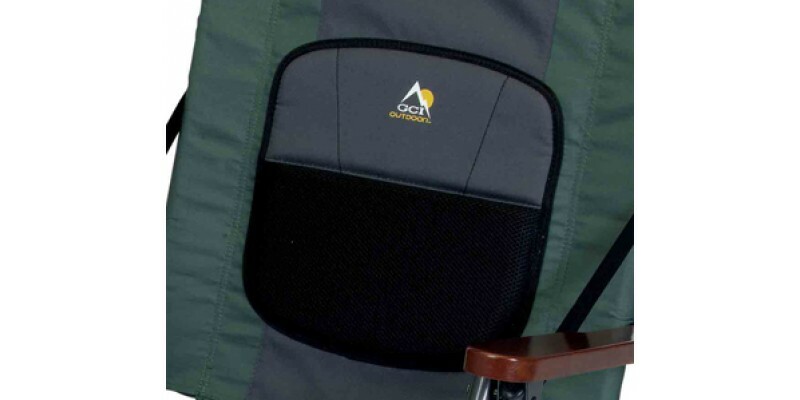 It features a storage pocket and is available in popular hunter green and midnight blue. Weighs only 8 lb (3.6 kg), yet it supports up to 300 lb (136.1 kg). Measures 25 x 23 x 31 in (63.5 x 58.4 x 78.7 cm) when open. Folds to 28 x 25 x 3.5 in (71.1 x 63.5 x 8.9 cm). 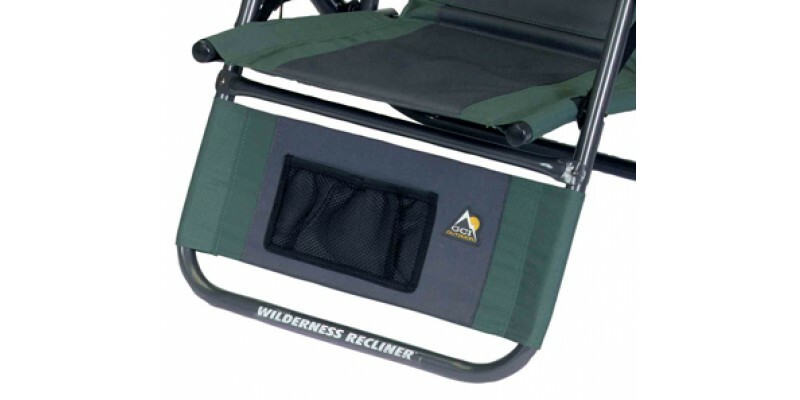 The Wilderness Recliner is ideal for camping, canoeing, and watching sports.